Home Tags Posts tagged with "triksetrening"
Every time I stumbles over opinions like these, I become pretty surprised. 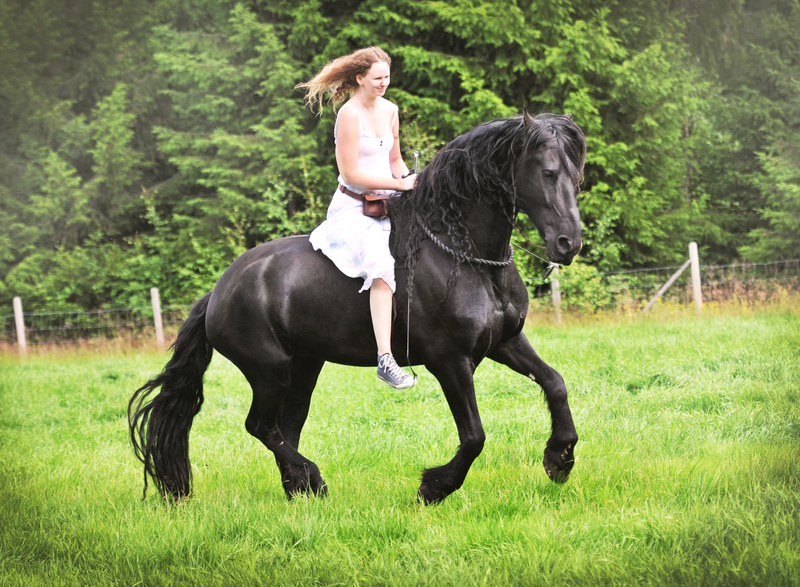 The last couple of years I have surrounded myself with people who think in a “different” way, and who are open to freedom dressage, bridleless and bitless riding, other kinds of dressage in general, trick training (and everything else related to positive reinforcement), stunt riding and so on. 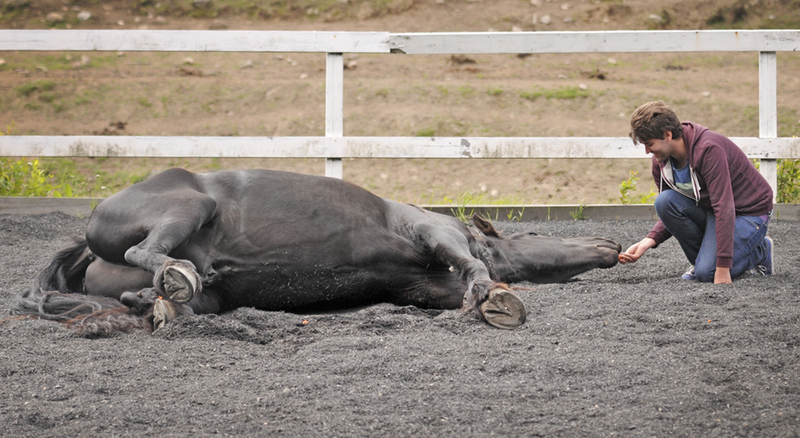 Whatever they think is fun doing together with their horses, without caring what the equestrian world wants you to do. 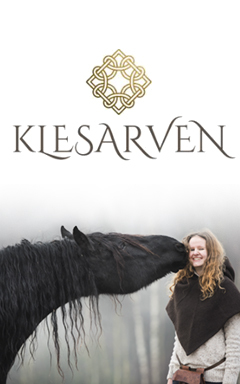 So when I every now and then meet the “traditional equestrian world”, my heart skips a beat sometimes, haha! 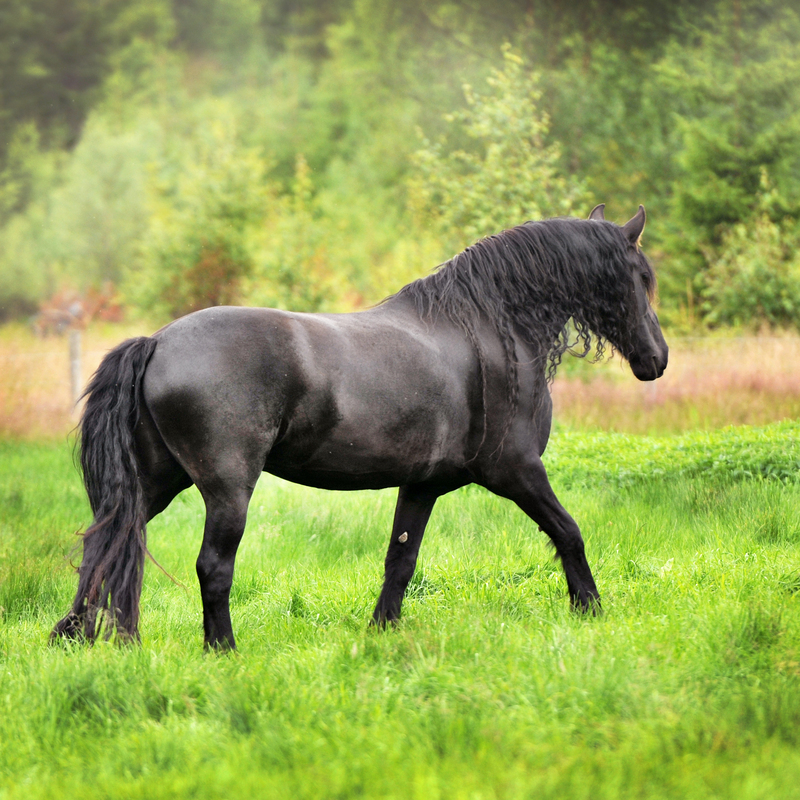 Did you know that tricks such as rearing, spanish walk, classical bow and park out can benefit your horse physically and build muscle in the topline and back in general, front and hindquarters? 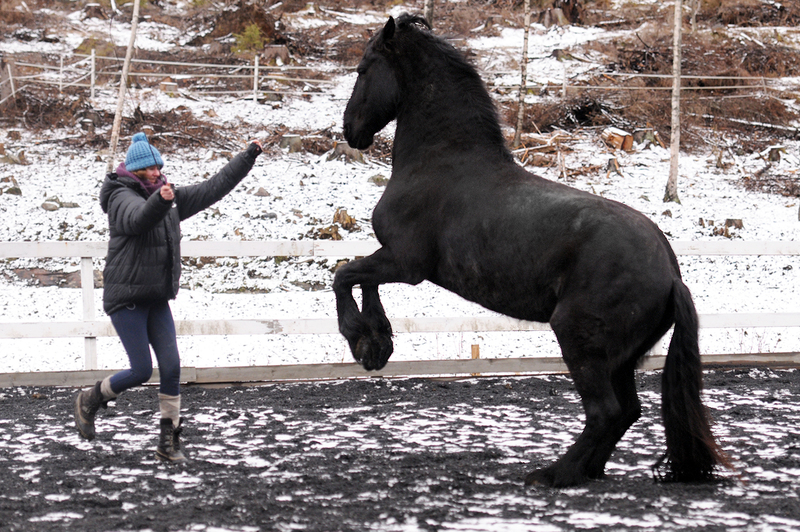 Trick training can be like weight lifting for horses and require preparation and strength? 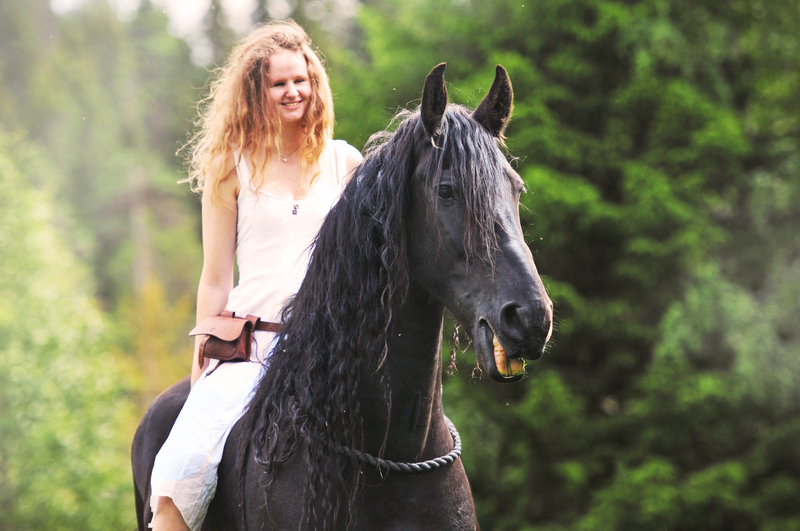 Is your horse a quick learner or simply need a mental task or challenge? 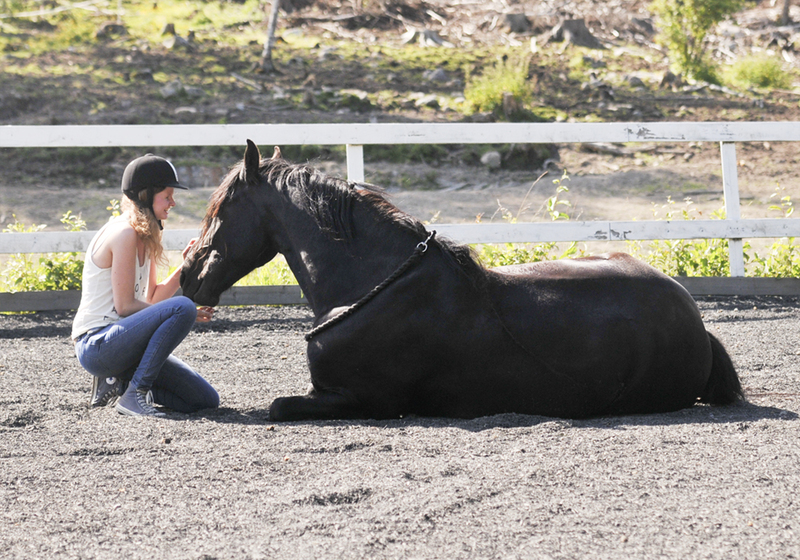 Using trick training, the horse has to use his brain to figure out what you asked for. 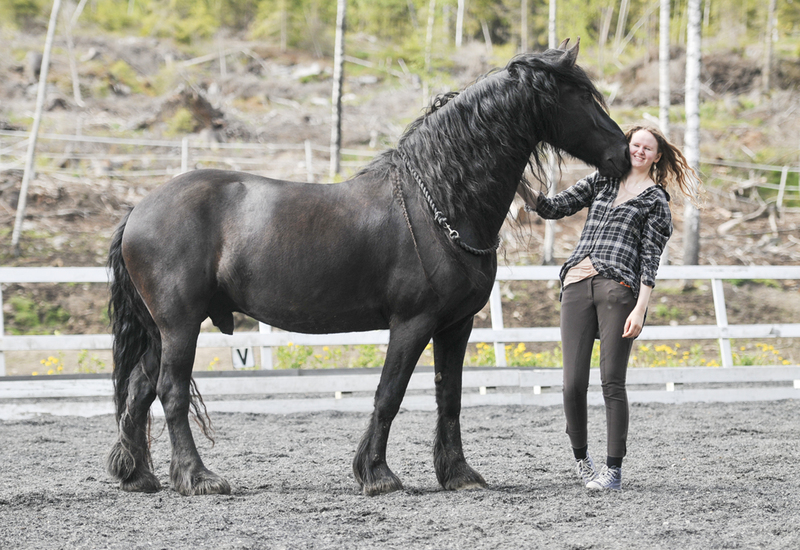 Trick training and liberty dressage in general can be a great way to connect with your horse on a higher level. 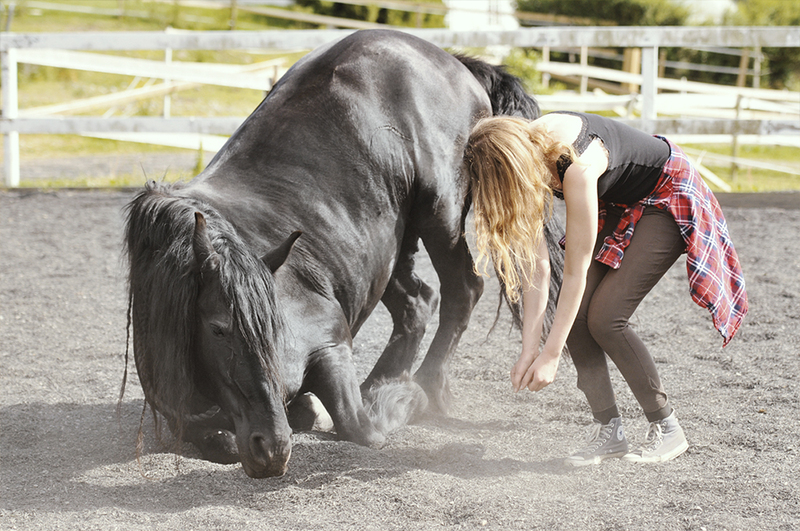 With some training, you can make your horse mirror you and do every movement or exercise based on pure body language and energy. 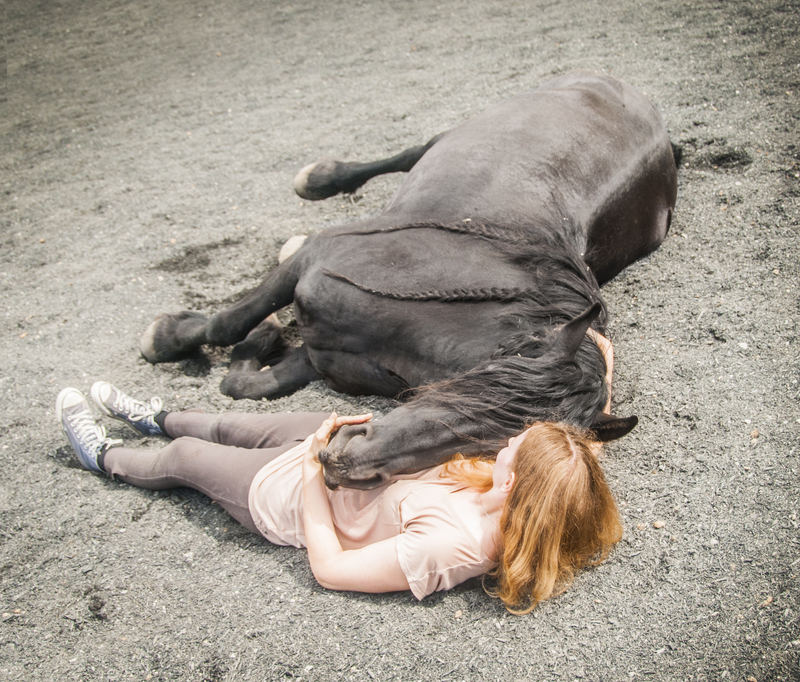 When the horse chooses to lie down beside you because you just laid down yourself or canter collected by your side around in the arena, is an absolutely amazing feeling. Introverted horse? Insecure? Low confidence? Doesn’t like to try new things? Never acts outgoing at all? Afraid to show off because he is scared to do it wrong? 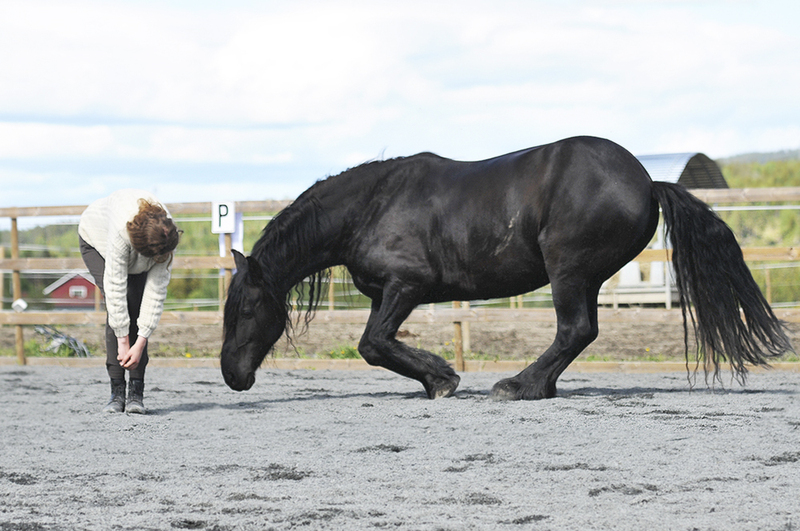 Build up your horse’s confidence with trick training and natural dressage from the ground! 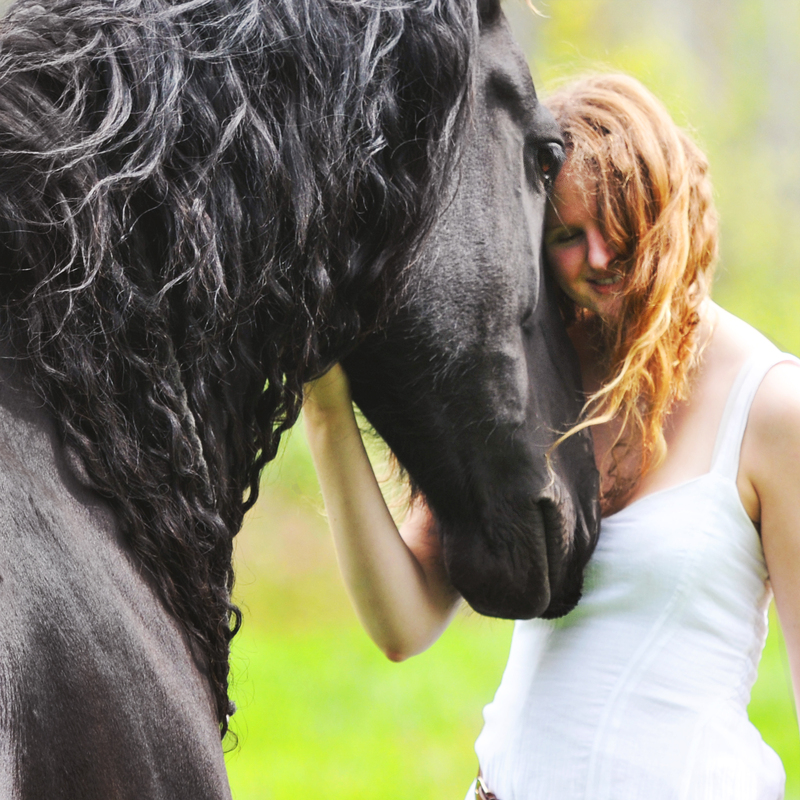 Bring his inner foal back, and see the results in the daily life when your horse learns to trust himself. 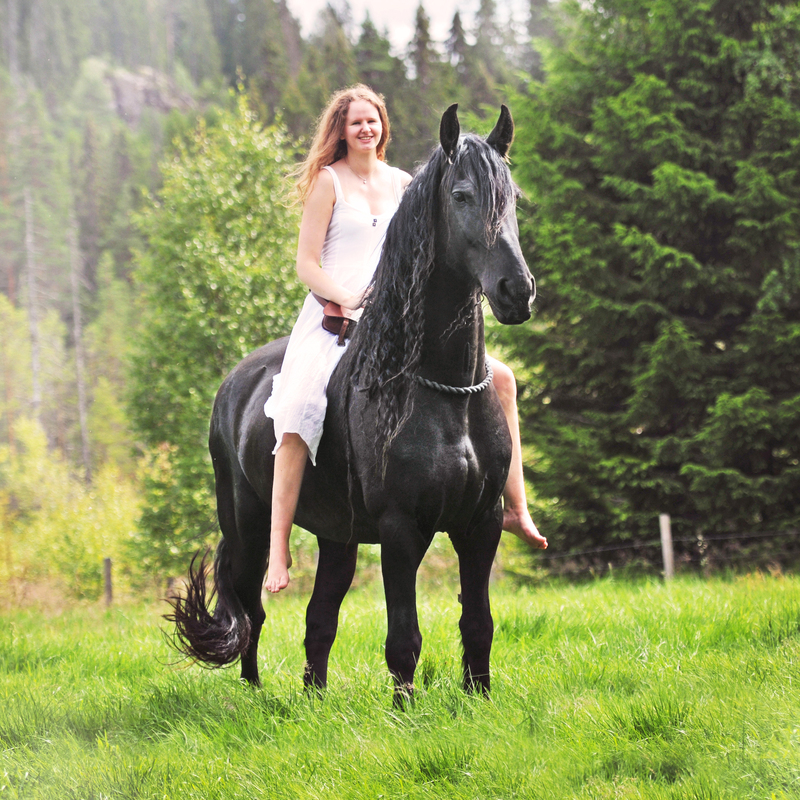 Playing with your horse and doing fun things side by side can do wonderful things to your horse. 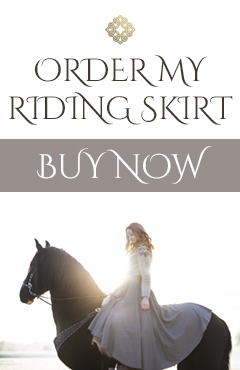 Want to do some training, but having little time, or are you simply not in the mood for riding? Do trick training and other exercises from the ground instead! 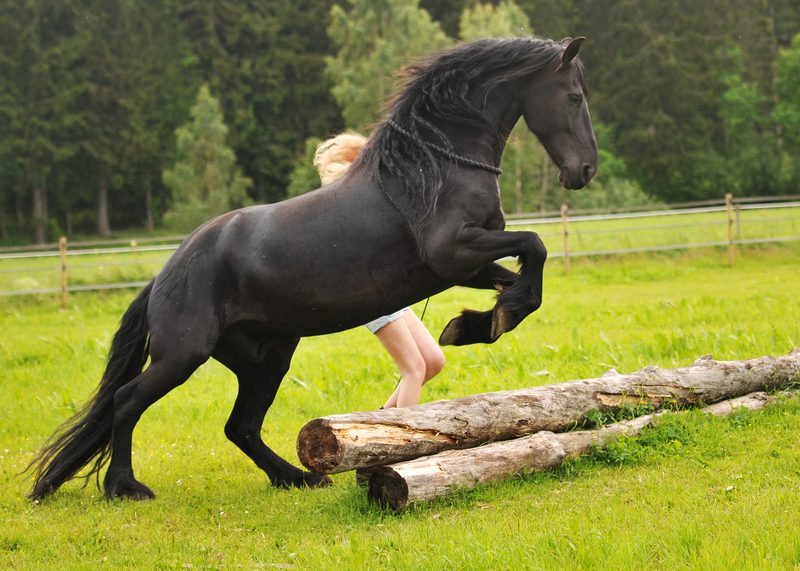 Trick training can be done mounted or from the ground, but everything starts from the ground. 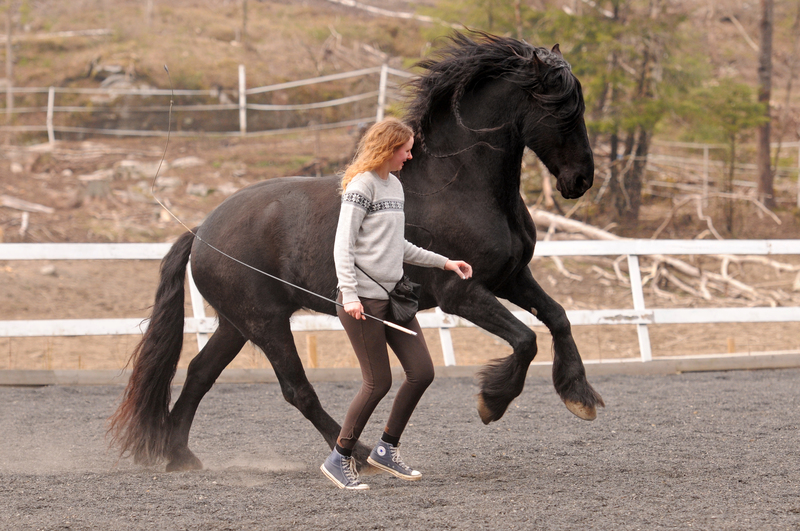 A horse can learn to do canter pirouettes, shoulder in, extended trot and collection from the ground, and the classical tricks are perfect to put some variation into the training. Positive reinforcement is the most common, and most effective way of trick training with your horse. 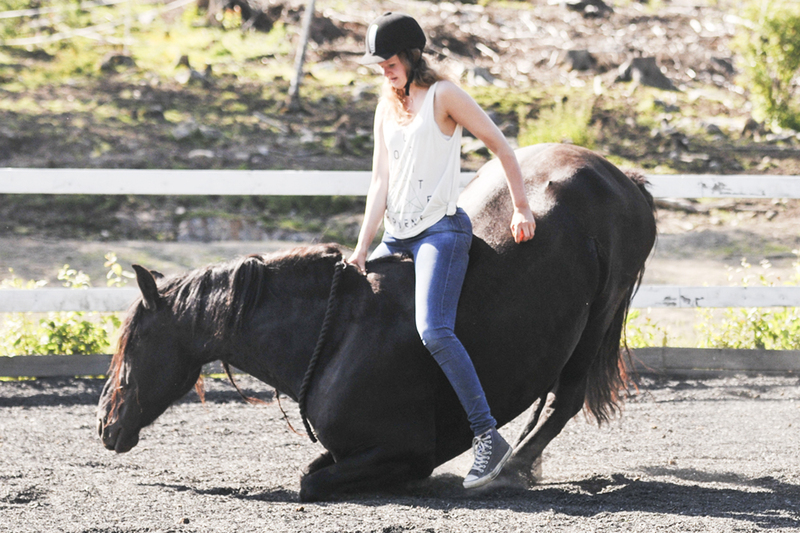 It’s a training method who is fun for your horse, and encourages the horse to try. It’s based on rewarding wanted behavior, and basically the same method you use to train dogs. Who would hit a dog if he misunderstood your cue? Nobody. 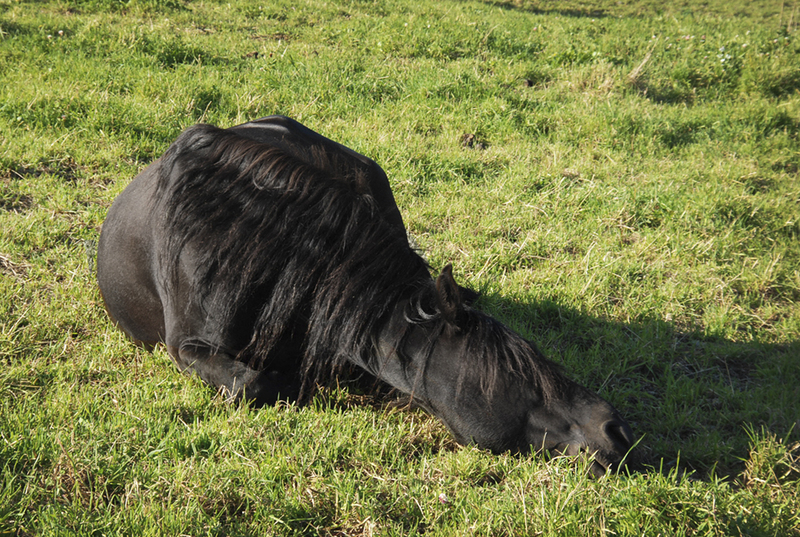 So why do we do that to horses? 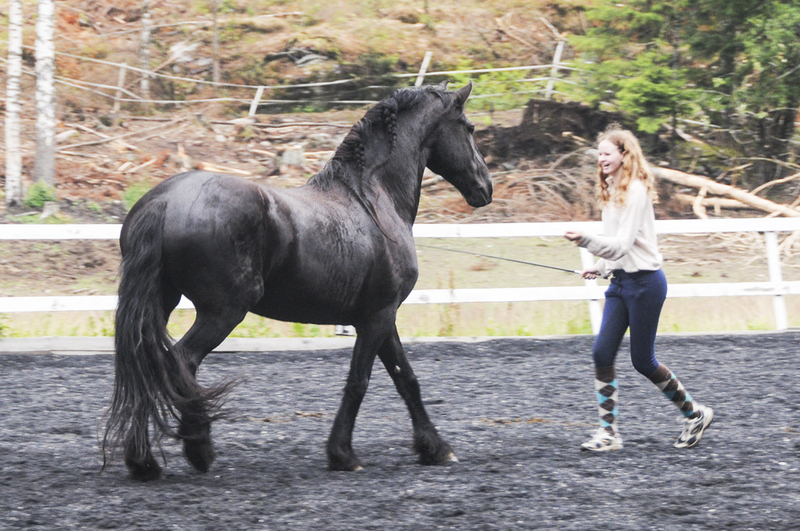 Learning new stuff with positive reinforcement is fun for both horse and human! Reward, don’t punish! 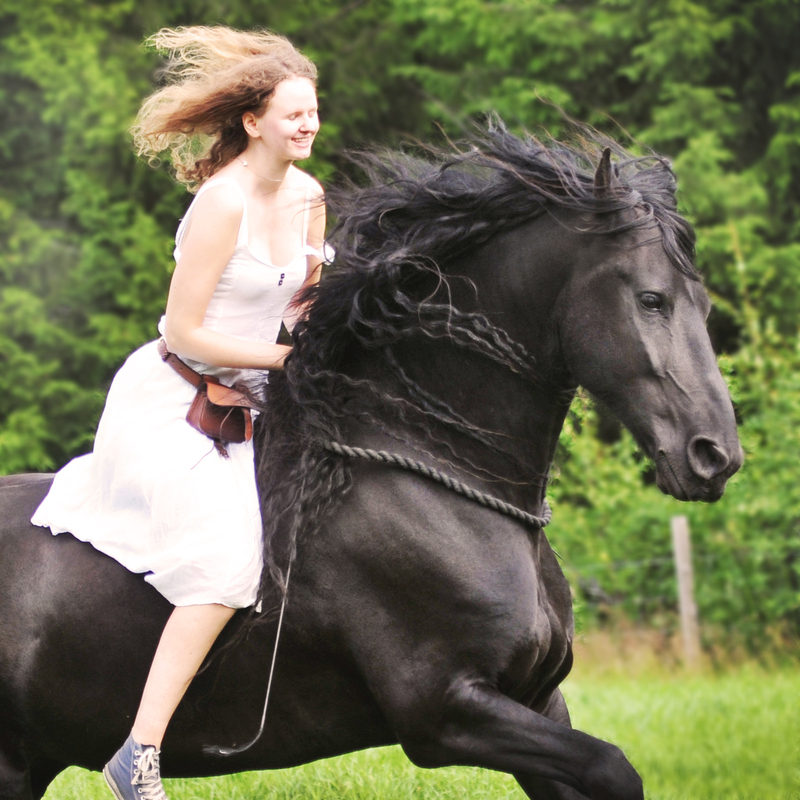 It’s a great way to HAVE FUN together because HORSES ARE MORE THAN RIDING! 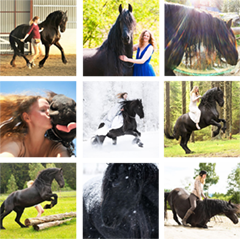 Some horses love jumping, some horses love dressage, some horses love trail rides, some horses love endurance, some horses love cross country, some horses love reining, some horses love doing nothing, some horses love trick training – who are your horse? Have you ever asked? We are in 2015. 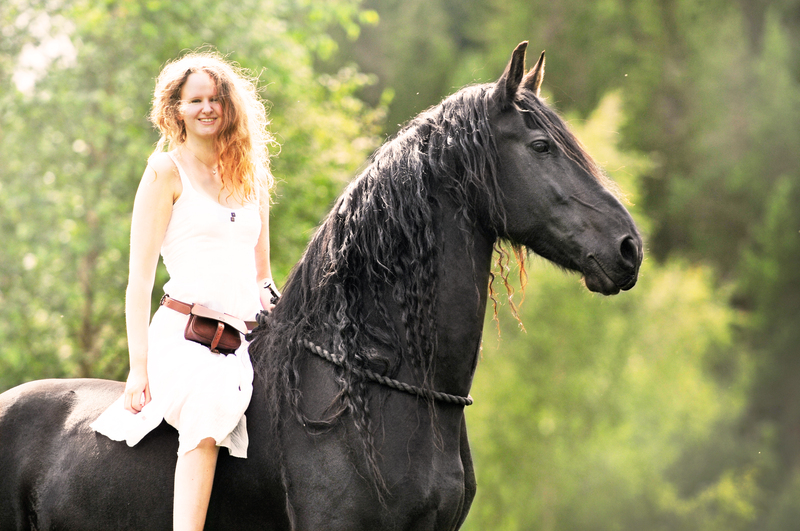 Horses are our pets and beloved friends, not our slaves meant to “work hard for us”. Horses owe us nothing. We owes our horses! 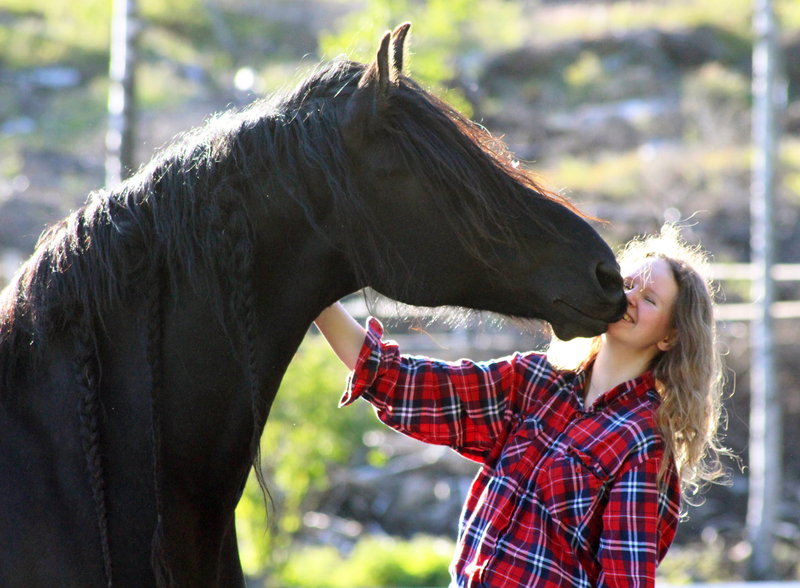 Horses deserve to be treated with respect, and in my eyes, that does not mean to run around being commanded to do stuff for us day in and day out without us even asking what the horse actually want to spend his time with us doing. And god forbids if they don’t listen, the whip will never be far away! 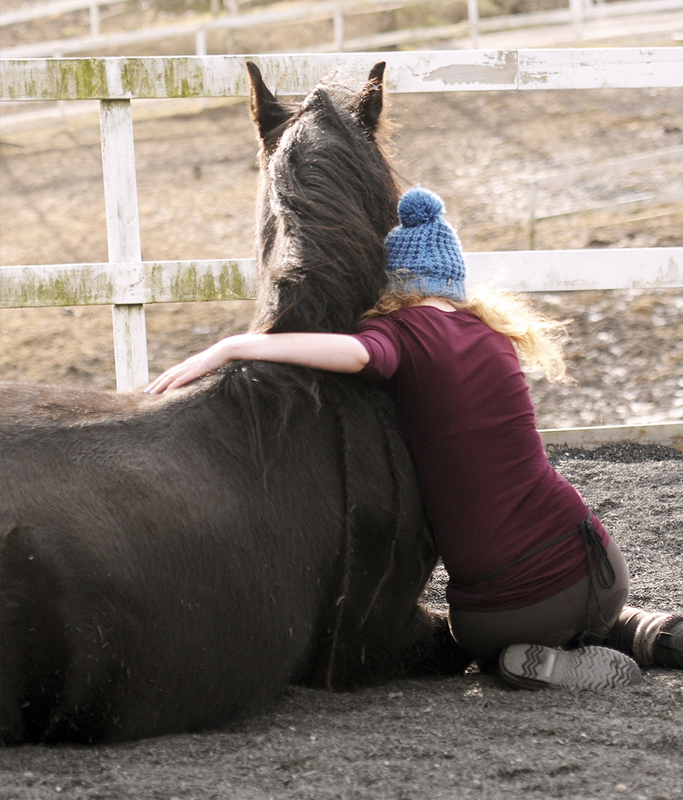 Not all horses want to do jumping and dressage, and it’s our job to open our hearts and listen. 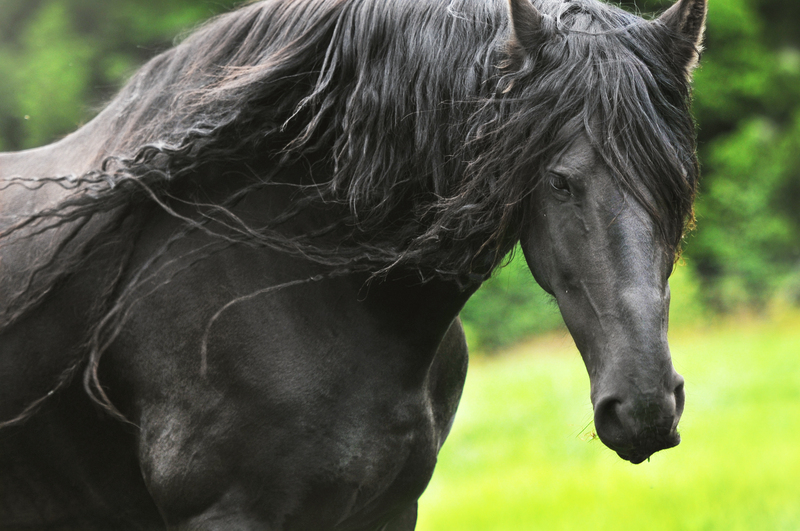 Every single horse and human are different individuals. 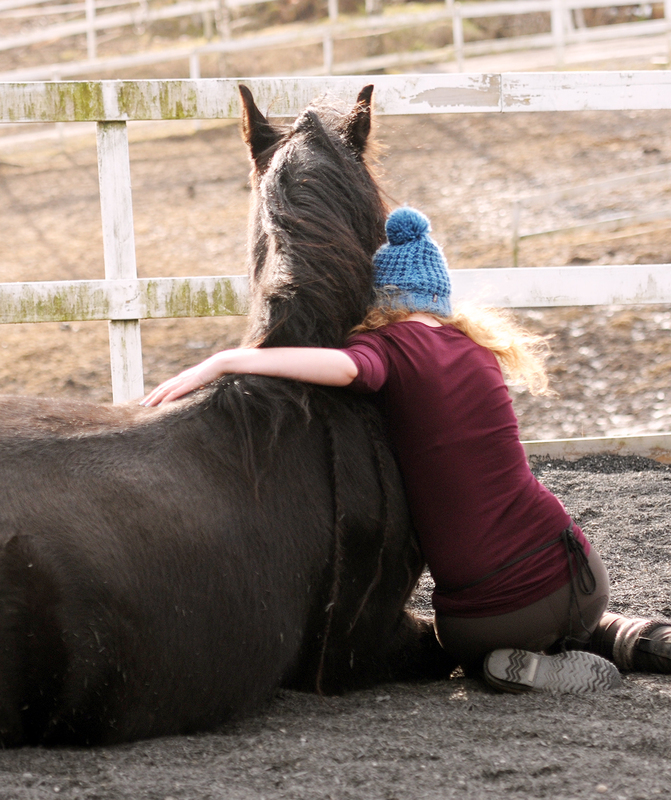 We should all respect eachother based on that, and not based on what we like to do together with our beloved horses. Mo ghraidh, mo chridhe – my everything. I have a little routine I’m trying to follow when it comes to trick and liberty sessions with Batman. These are small things that can make a big difference when it comes to the contact between you and your horse, and I really recommend you to try it a couple of times! Every time I go through this routine before training, the rest of the session is much better than usual. It does not matter if you are in a higher level nor is a beginner. These steps can benefit everybody! 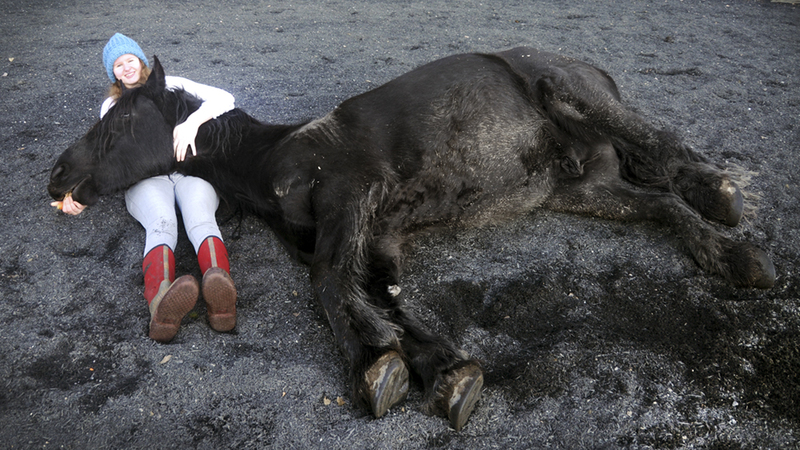 After entering the arena I simply start with cuddling and rubbing Batman the places he love the most. This will make him comfortable and happy. Starting with simply praising him to be together with you is also positive reinforcement. 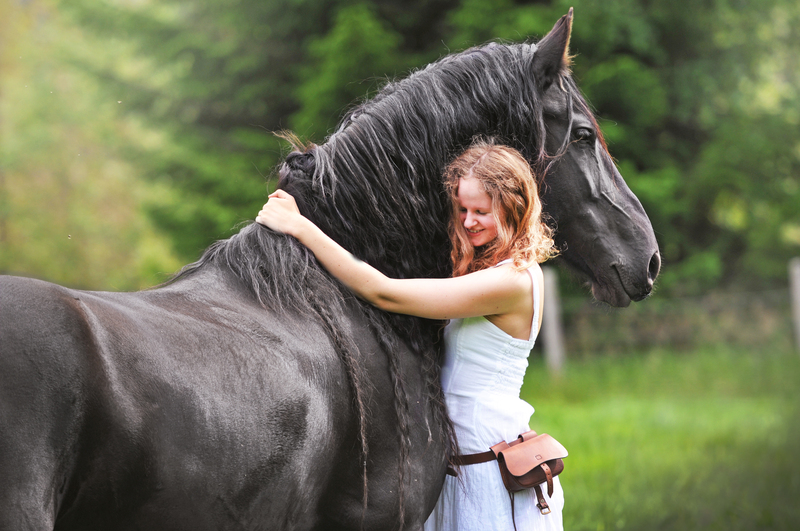 You should be grateful for that the horse wants to stand by your side. Never take it for granted that your horse is interested in hanging out with you! 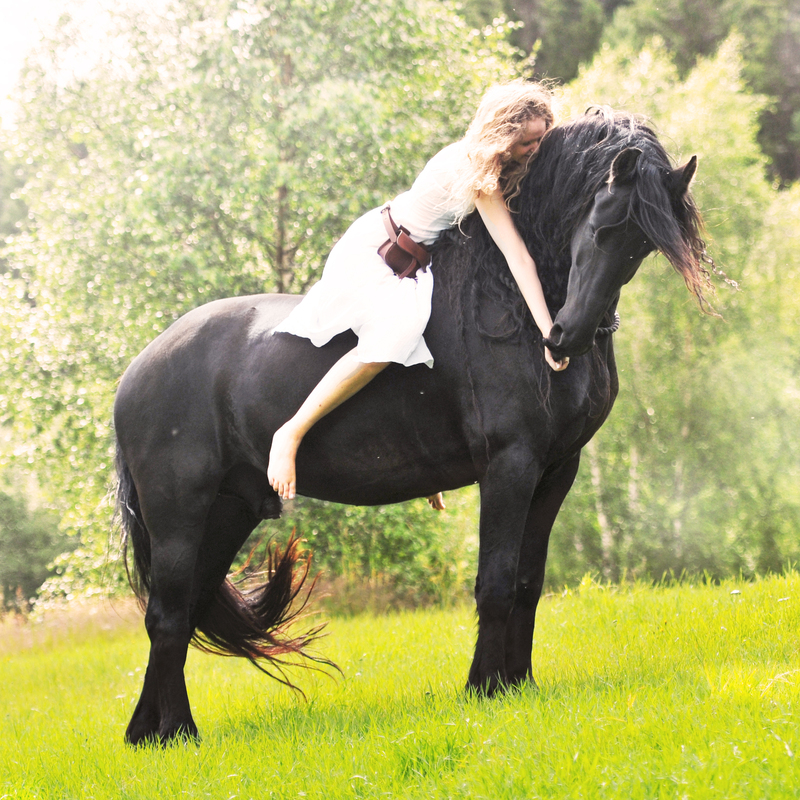 My favs are “stay” (the horse will stand still and wait when you walk a few meters away) and “head down” (the horse puts its head towards the ground and relaxes). Really simple tricks Batman love doing, and I will reward A LOT even through these are simple tricks he know very well. This will make a positive experience for your horse, and it’s a great way to start the training itself. 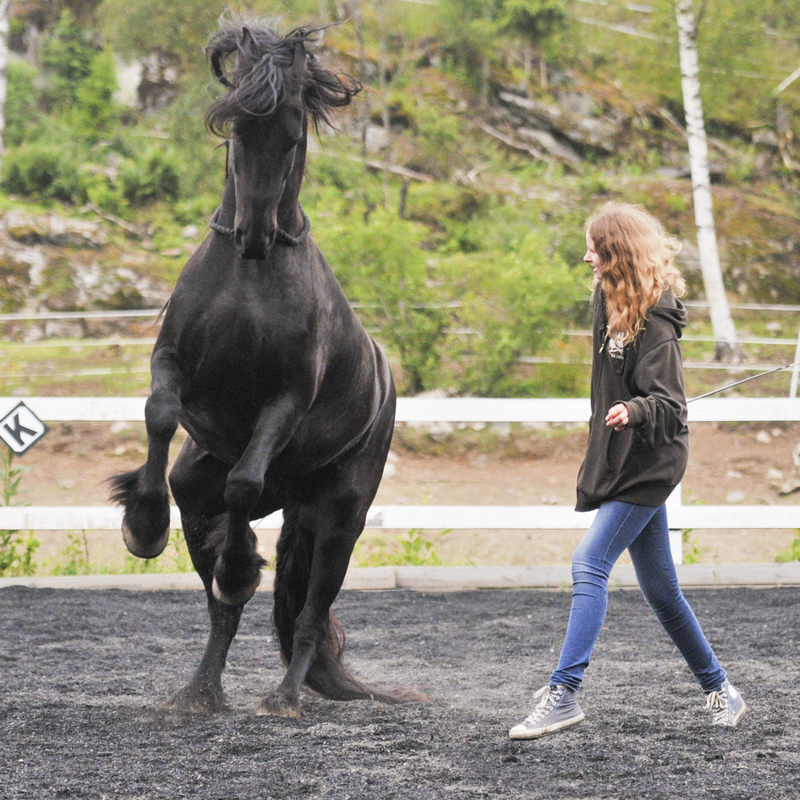 Your horse will feel more confident and you introduce the exercises slowly. 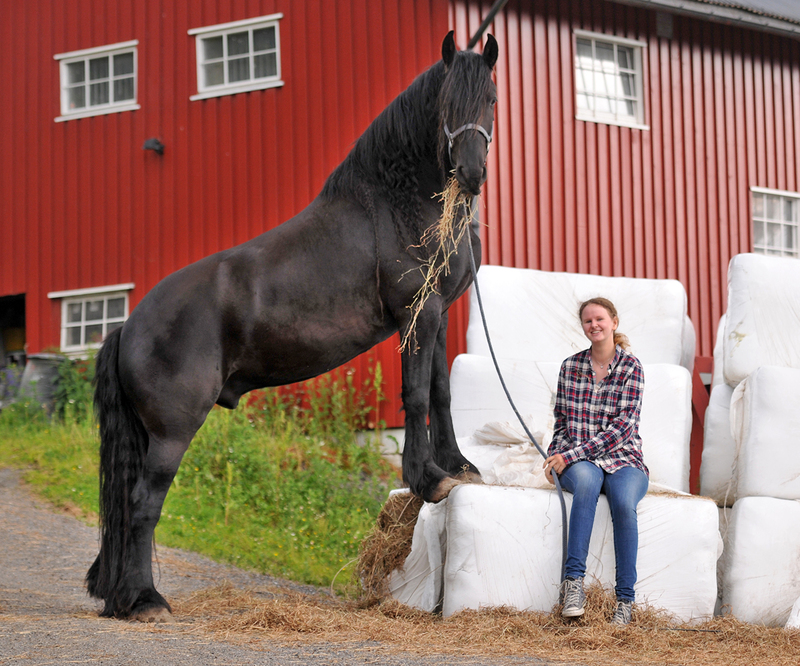 We want to build the horse up, don’t break him down, right? 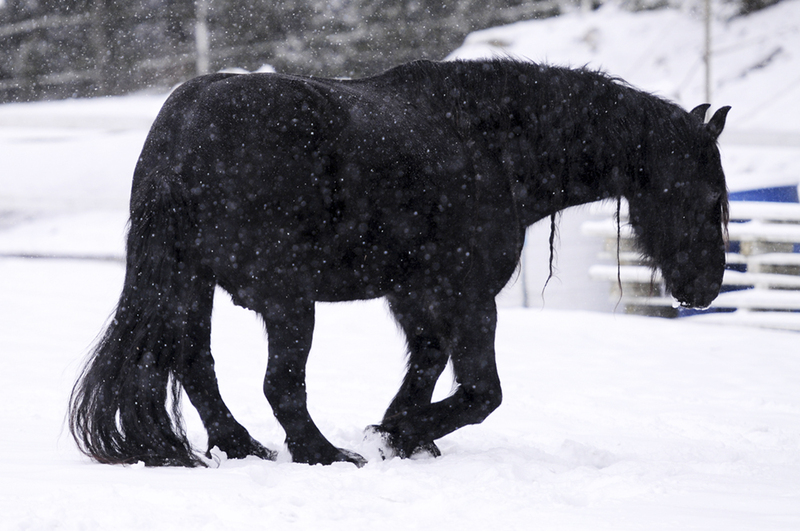 Warming up should benefit the horse mentally and physically. Walk around in the arena side by side. 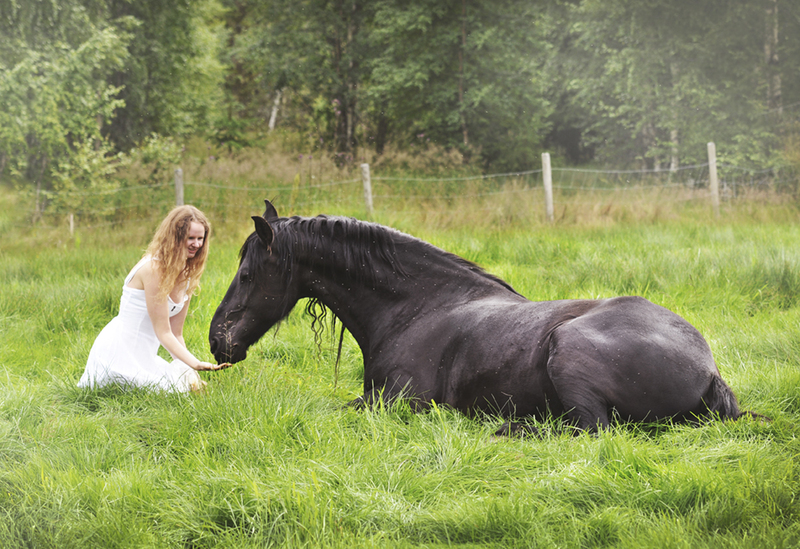 If the horse chose to follow you, praise. If not, try to find out what you did wrong. Asked you the wrong way? Did you forget about your body language? 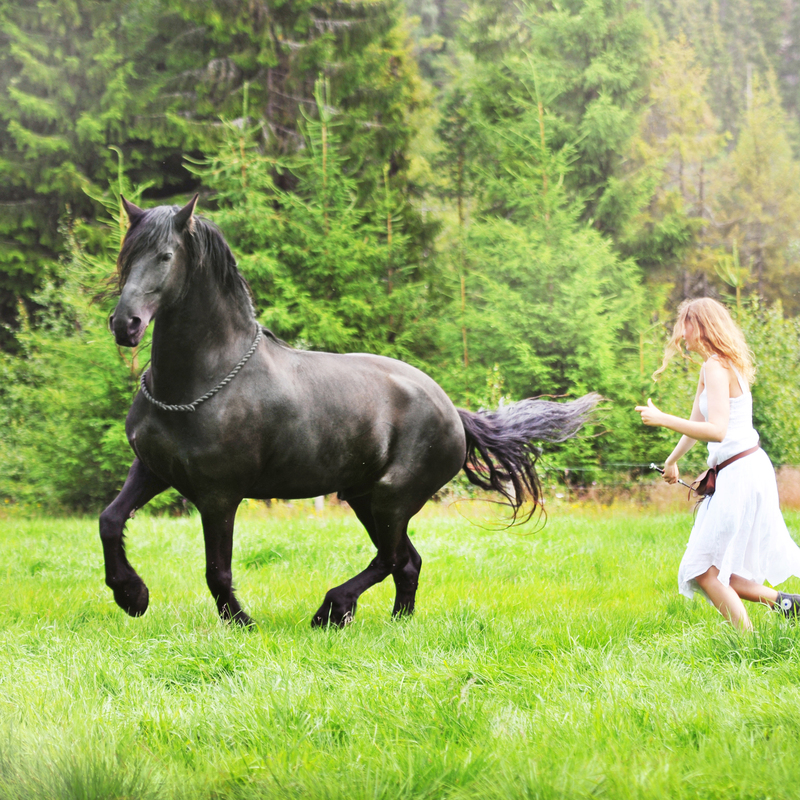 Was the horse paying attention to your movements? After you have started walking, add halts, praise, and start walking again. Discover all the scary corners together, go into a circle to change direction and do a few halts again. 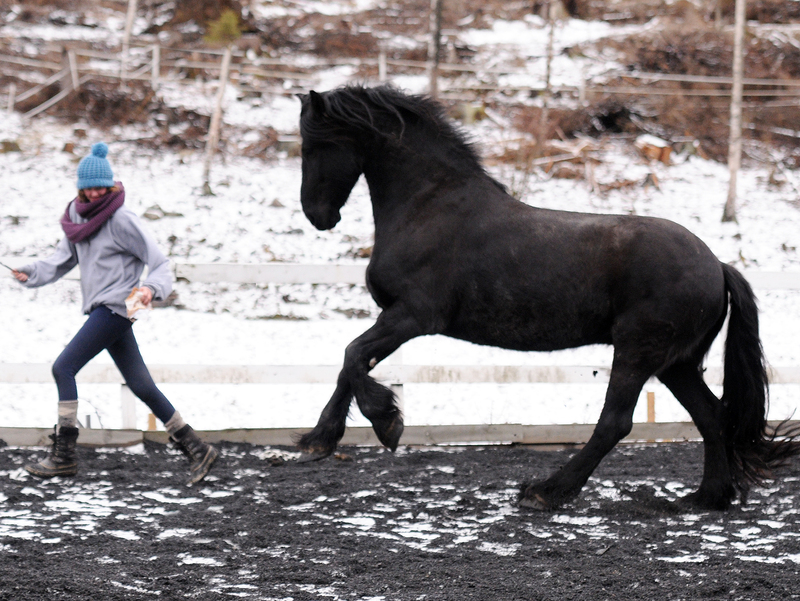 The goal is to get the horse to mirror your movements and pay more attention to your body language. I prefer to let Batman walk by my shoulder or slightly in front of me. Walk backwards ahead of the horse. 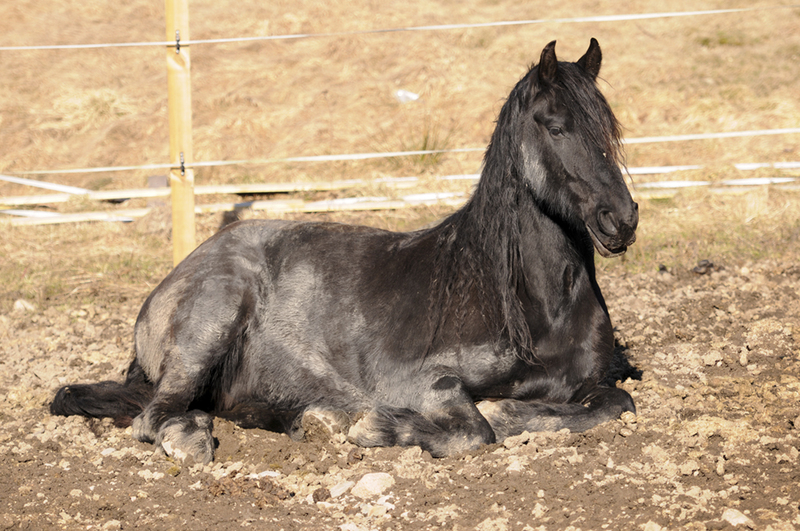 The horse’s shoulders should be parallel to your shoulders. Go left, go right, slow down, walk faster, and halt. Don’t be afraid to use your body language! Move freely and relax. Walk around and praise a lot when you can feel the horse walking towards you and paying attention. 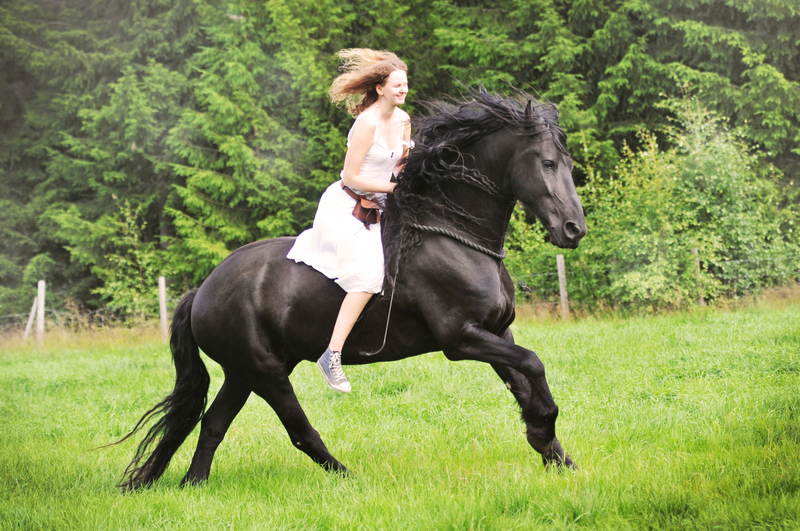 Some days, I simply start straight on and canter around with him, it depend on his day. But 80% of the time, I try to go through these small steps as a warm up. 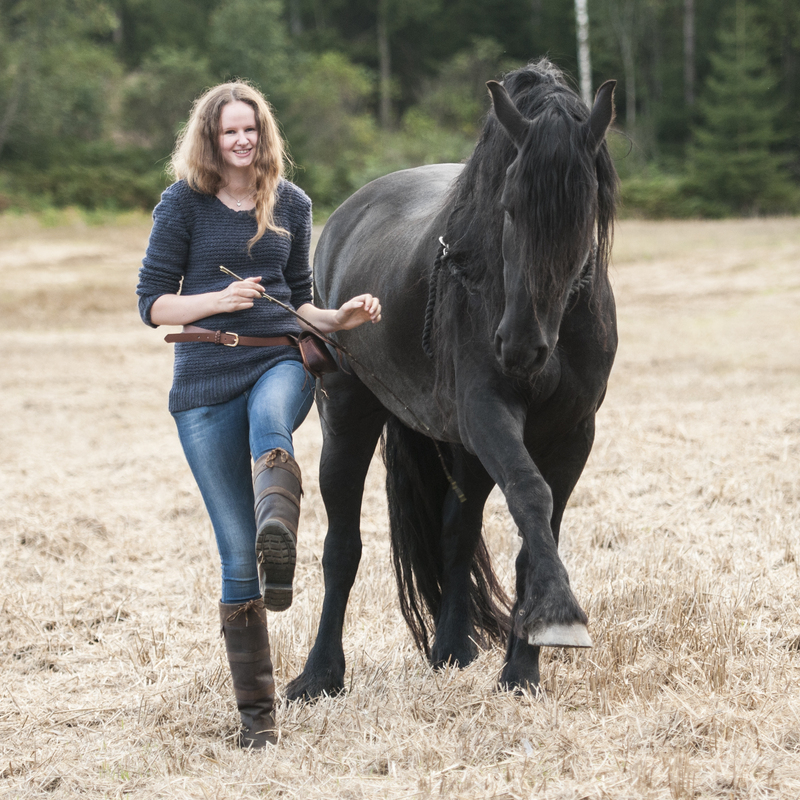 The goal of this routine is to get the horse prepared mentally, get you two closer and more connected to each other and lay a good foundation for the rest of the session. 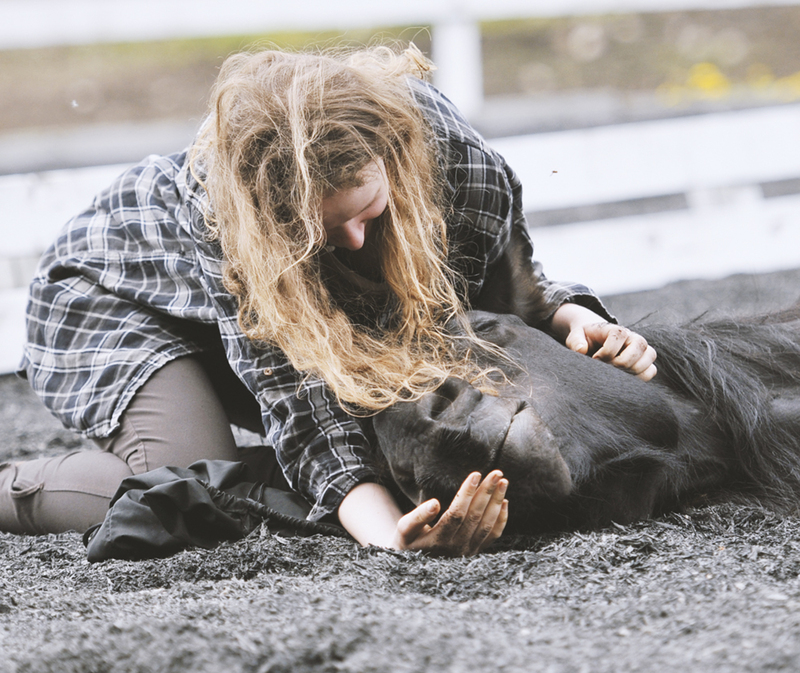 Praise/reward can be rubs (have a rubber brush in your pocket and scratch your horse on “the spot” for example), vocal praise, short breaks or treats. 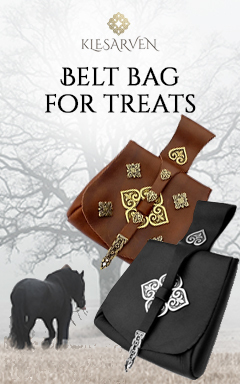 Whatever your horse prefer! 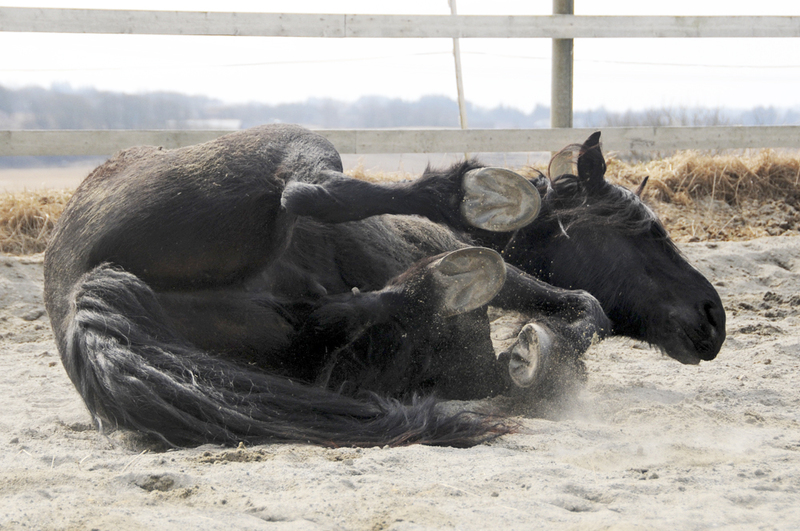 Some horses appreciate a break to think, others want to gallop a few rounds and play around. Have fun and remember, you’ll need a good foundation to be able to do more advanced exercises in the future!